Children are a gift from God. Mothers play a pivotal role in nurturing and shaping this gift into all that he/she was made to be, especially in the formative years. For young mothers, the first few months are critical in understanding and bonding with their child. Our Mother-Toddler Program will provide a platform for mothers to lay a strong foundation in their precious little one’s early life. We offer a learning program for you to understand and discover the physical, social, emotional and intellectual needs of your child. It is ideal for mothers with toddlers aged 4 to 24 months. 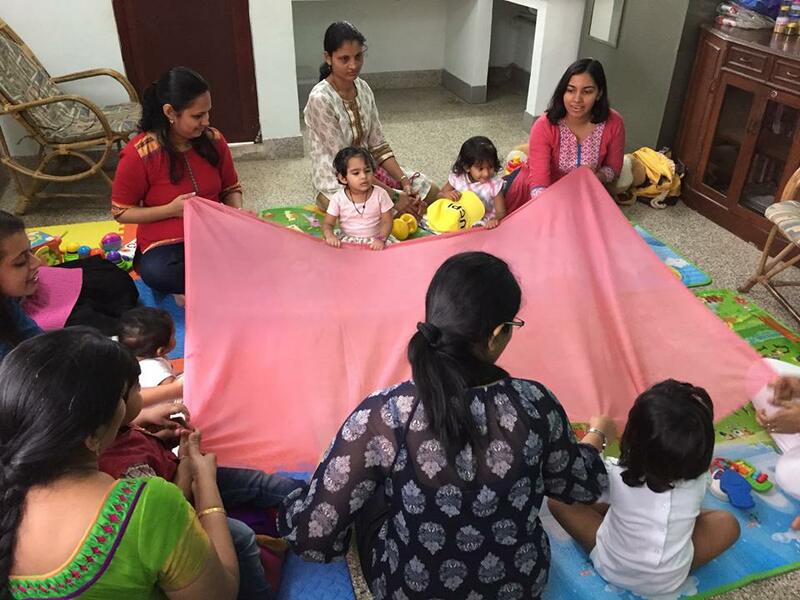 This program has been developed keeping in mind a toddler’s short attention span and the need for sensorial stimulation. Learning is facilitated through an array of activities which help strengthen the mother-child bond. We believe parents are the world’s best teachers and that’s why we work closely with you to bring out the best in your child!